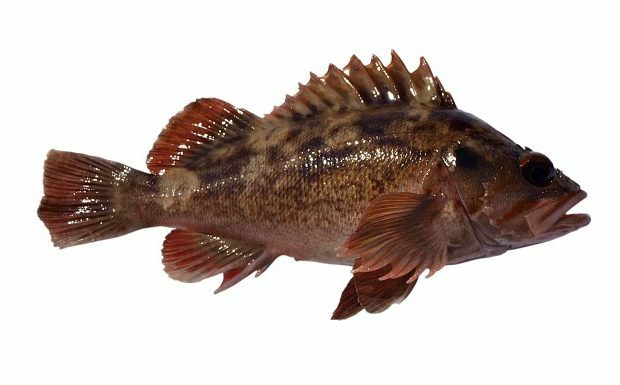 Brown Rockfish are rare in Oregon waters. So when I pulled up not one but two of them at the same time, everyone on the boat was pleasantly surprised. Photo courtesy of kenjonesfishing.com. The dark majesty of the Oregon Coast rests in it’s rugged, untamed power. The shaded mystery of the forest and what lies within speaks to the adventurer in all of us. The whistling nocturne played by whipping winds over the salt-peppered cliffs always hatches butterflies in my stomach and a longing in my heart. When I’m at my most taxed and exhausted from the intensity of hiking the steep trails, climbing the jagged rock faces, and fishing the roiling waters, it’s only my passion for the sport that gets me out of bed the next time to start the process over. That dark morning was no different, especially after a successful night fishing for surfperch that left us wet, cold, tired, and smiling nonetheless. My body screamed “Go back to sleep!” but the longing for a day on the water got me out of the safety of my sleeping bag. The instant oatmeal, bland coffee, and physical exhaustion weren’t enough to keep me off the boat, and the resultant seasickness wasn’t enough to keep me from fishing. 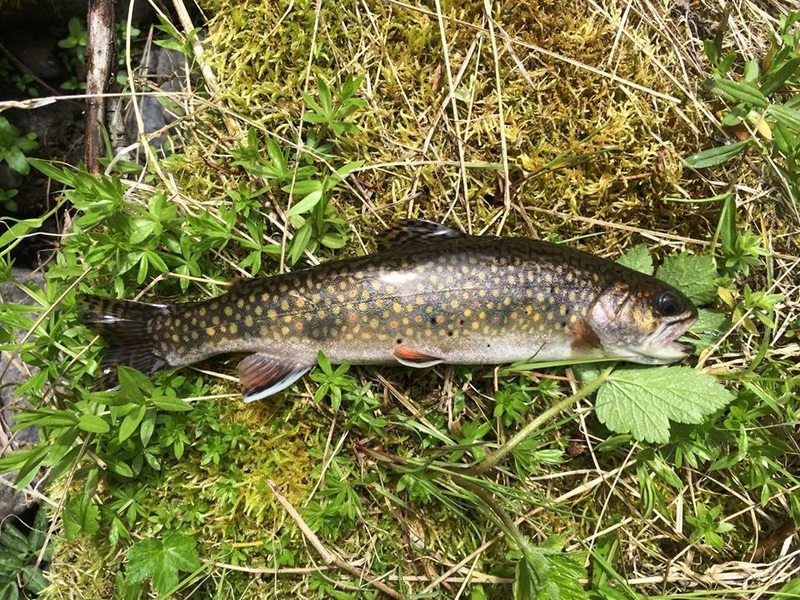 Despite the horrible knots my stomach was twisted into, I relished the time between each esophageal release because it meant I could catch a fish or two. 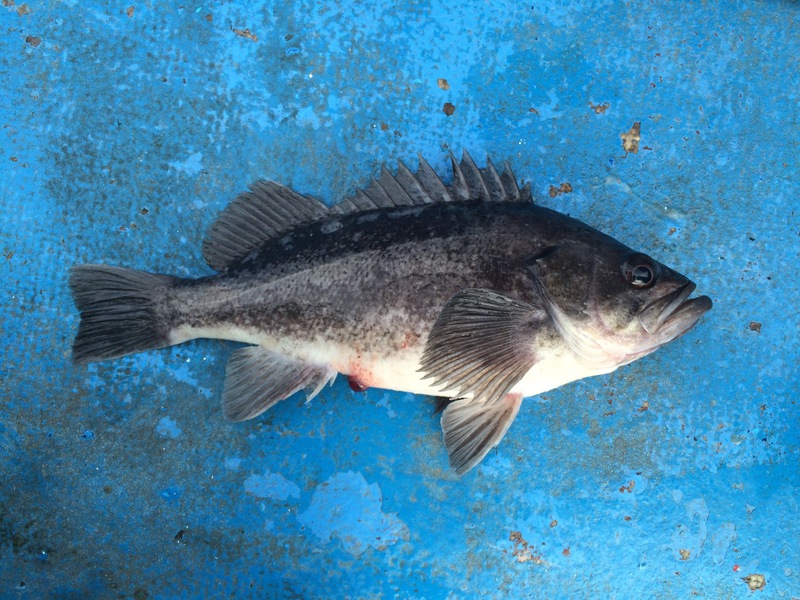 I landed Black and Blue Rockfish left and right, then Yellowtail Rockfish. Just as we began to near limits, I fought my queasiness long enough for another drop. When I pulled up two small fish at the same time, I was ecstatic. When they didn’t quite look like any rockfish I’d caught before, I was even more so. The captain, Kyle, came up and inspected the catch. The word “rare” evoked a sense of pride that *almost* overcame my nausea. Little did I know that they were so rare, that in 20-plus charter trips, numerous shore fishing excursions, and miles of jetty walking over almost a decade, I wouldn’t see another “Brownie” captured. And here I’d been fortunate enough to get two on one drop? Damn. The rest of the day was even better. We fished anchovies out of the marina for bait, filled a bag and used them to catch more fish and a few crabs on the jetty, and then ended the day with a delightful dinner that really felt like a reward after an already rewarding day. Read the next entry in #SpeciesQuest here: Species #28 — Northern Anchovy. 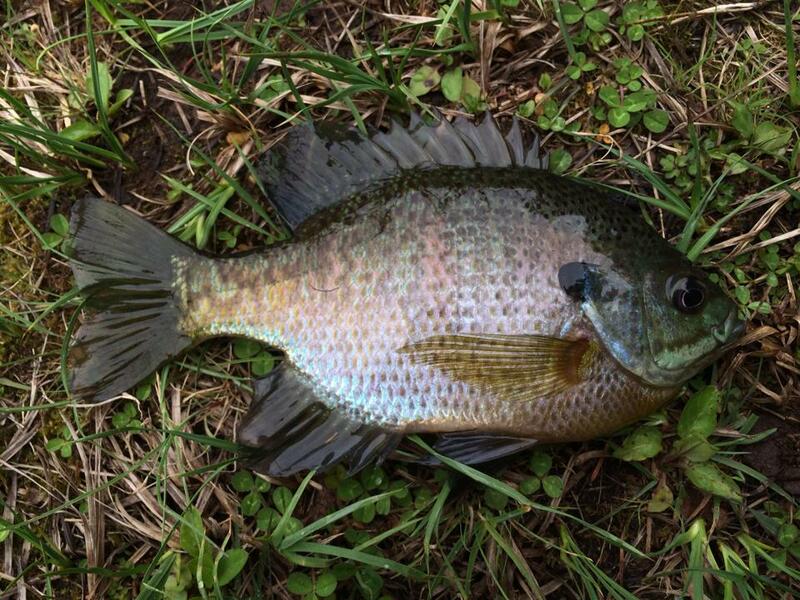 Ounce-for-ounce, I’d argue that Green Sunfish are the hardest-fighting freshwater fish I’ve ever caught. Every day, we woke up and went on a run. We’d come back, grab breakfast, do some sort of running game, take a break, and run again. Lunch would come around, we’d have a short reprieve for the afternoon, then we’d go on an evening run, eat dinner, and play a running game at night. At the time, I didn’t know how allergic I was to dairy and eggs, so the combination of muggy heat, running miles and miles every day, and fueling myself with a diet containing a lot of both did horrible things to me that I won’t go into in detail. Anyhow, our coach did a fantastic job of melding these incredibly fun games with running. Whether the game was a timed obstacle course (this was my best game), Extreme Spoons (not my best game), scavenger hunts, or the Mileage Guess (where we’d run along a road and try to stop at exactly one mile), we got in shape while having a blast. There was one game, however, that I lived for. It was, as best as I can describe, what Cross Country should be. We would be dropped off in a team of two or three at one location, given a map, then tasked with returning as fast as we could. Just one caveat: we had to fill a gallon bag with ripe blackberries for the evening’s cobbler. I lived for this. Outside of fishing, I’m honestly not very competitive. For whatever reason, this mattered to me, though. I had to win. This time, I read the map and convinced my group to take a shortcut through the woods. It shaved off half of a mile and took us right along the lake shore. I needed to pee, so I detoured from the group briefly as I drained the lizard. As I contemplated life, I noticed a handful of small fish bathing in the summer sun, maybe five feet from my excess hydration. My drive to win was put on momentary hold, as those fish held my attention. “You done yet?” came the cry that snapped me out of my daze. I closed up shop and returned to the group, but my heart wasn’t wholly in the competition anymore. We won the race, but I was ambivalent. Sure, victory tasted almost as sweet as the cobbler I’d eat later that night, but those fish that clearly weren’t bass were on my mind. Sleeping on the hard ground with dozens of teenagers giggling and freestyle rapping badly (yes, we did) all around you is difficult enough without the added distraction of a potential new fish species. I dozed off at some point after the neighboring campsite stopped banging the loud doors of their cooler an impossible number of times. I awoke, powered through the morning run and breakfast, then ran back to the water. This was years before I was a good fisherman, but I still had the passion. God’s mercy alone got a single feisty fish to hit my Brown Rooster Tail (gross, right?) and send my heart racing. It fought much better than the tiny bass I expected, and I knew I’d hooked one of the mystery fish I’d seen the day before. I didn’t exactly know what it was, but that’s okay because I’d finally crossed the finish line. I’d won the race. We returned to school, and after a week’s worth of reading and searching the still dial-up enabled Internet of the day, I learned it was a Green Sunfish. 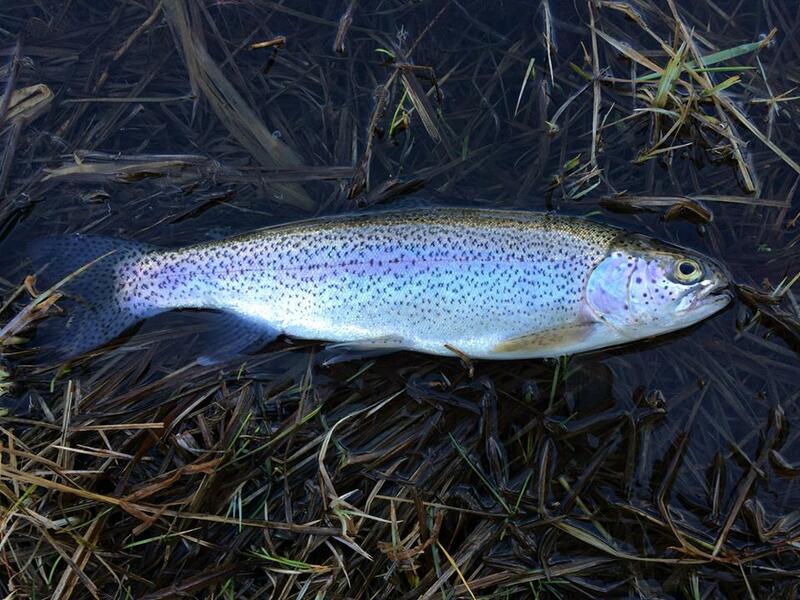 To-date, it’s still one of my favorite fish, despite how relatively uncommon they are in Southern Oregon. Still, as an adult who isn’t at running camp, I can drive to one of my favorite Green Sunfish waters any time I want. 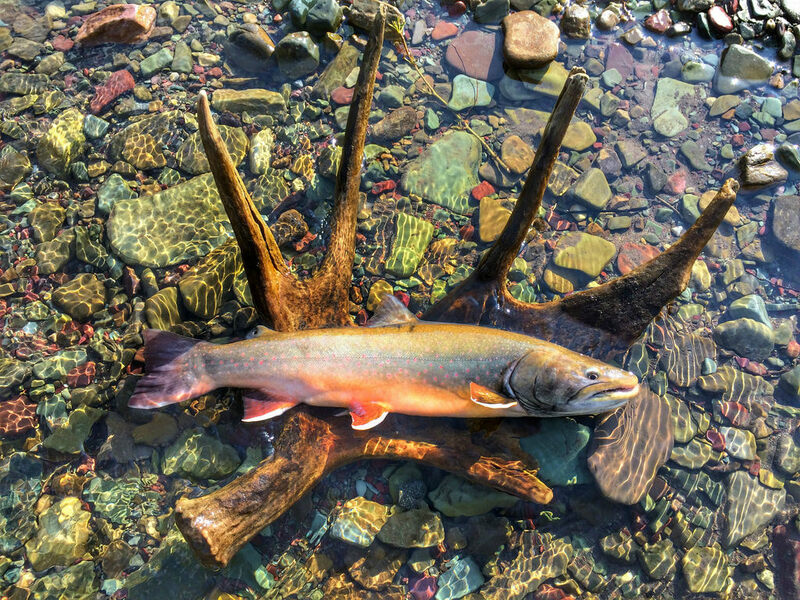 Read the next entry in #SpeciesQuest here: Species #15 — Kokanee. Black Crappie are so beautiful underwater, and even after catching thousands of them, they still evoke a certain awe in me when I see them in their flowing fins. Geez, I didn’t fish much back then. I hadn’t wet a line since the previous October. As of the fall of 2017 when I wrote this, I’ve only caught 1500 specimens of two respective species: Bluegill and Rainbow Trout. 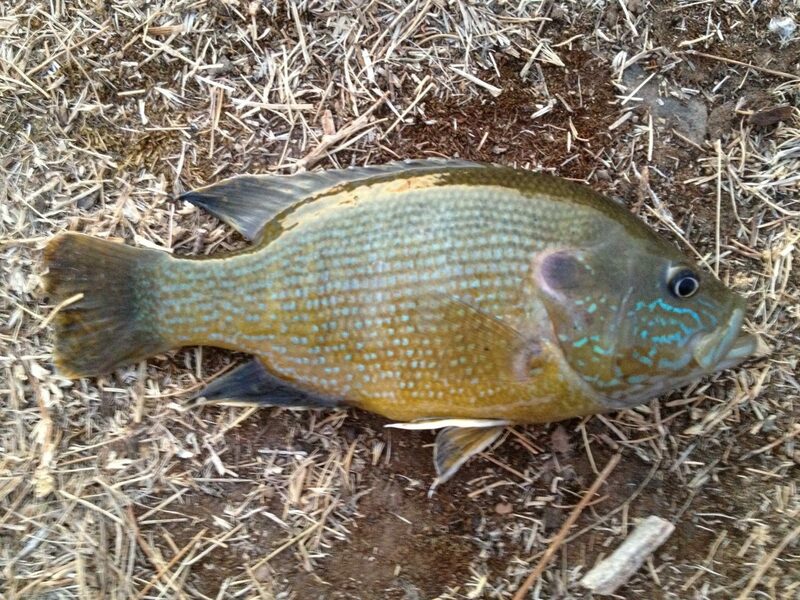 Bluegill were the first. I caught my 1500th bluegill in 2015. 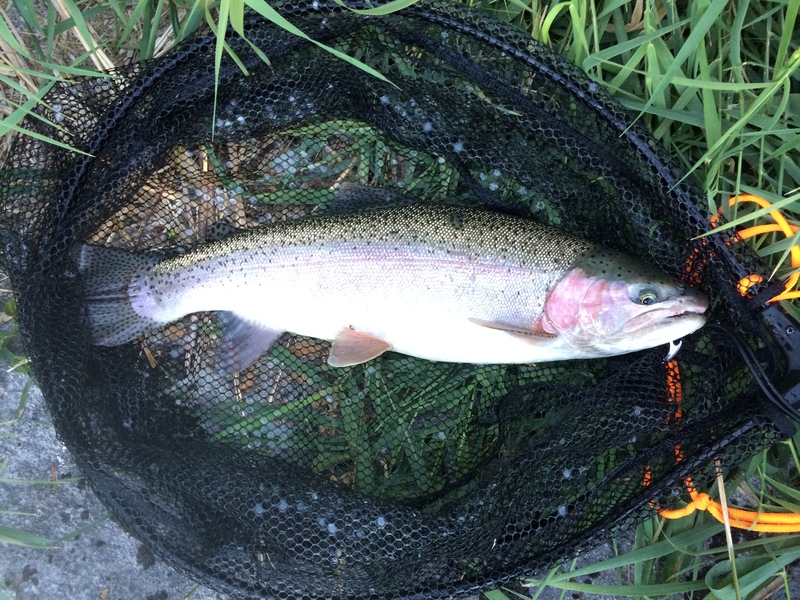 My 1500th Rainbow Trout, which I classify separately in two categories (Rainbow Trout and Redband Trout), actually just happened in 2017 not long before this entry was written. 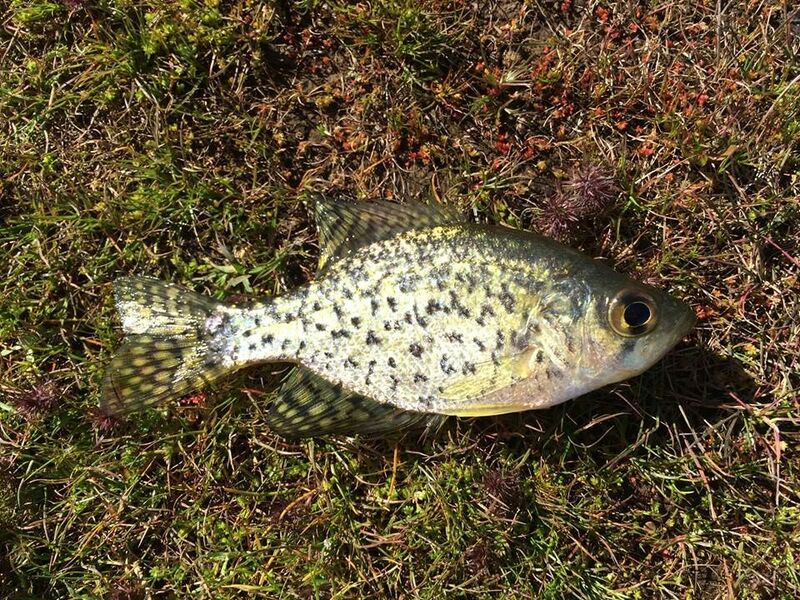 Black Crappie will almost definitely be the third. At the time of writing, I’m at 1458. It’ll only take one or two good days next spring to add another species to the 1500 Club. Anyhow, my knowledge of panfishing was pretty minimal back then. I actually caught my first crappie on a Brown Rooster Tail — a lure I absolutely despise nowadays not for lack of success, but because so many people kill trout with them — when almost every crappie I’ve caught in the years since has come on a jig of some form or another. Shockingly, a bluegill also hit that drab, miserable spinner and made my day. 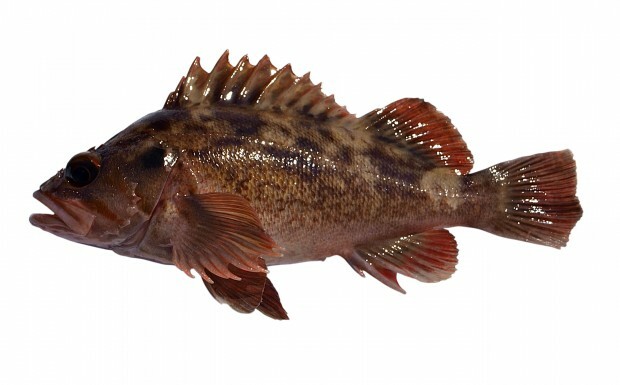 Read the next entry in #SpeciesQuest here: Species #9 — Black Rockfish. 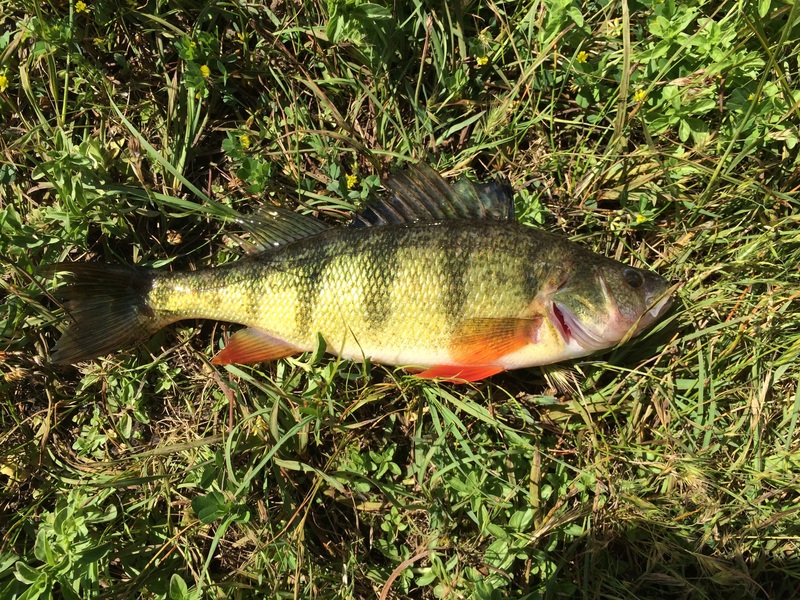 Yellow Perch are one of the most prevalent invasive species in Oregon, but they’re fun to catch and arguably the best-tasting freshwater fish. The Bluegill were lined up in the shallows, but slightly larger, more insidious fish skirted the edge of visibility, feinting in and out of the shadows in a cruel tease. I had no idea what they were, but Dad thought they might be perch. He recommended using a crappie jig to try and entice them to bite. Sure enough, the tiny gold tube jig I found in the bottom of our old metal tackle box worked like a charm, and I promptly landed my first Yellow Perch. My jig went down to the same spot, and I witnessed the telltale pointed gill flare for the first time. It resulted in a hookset and my second Yellow Perch. 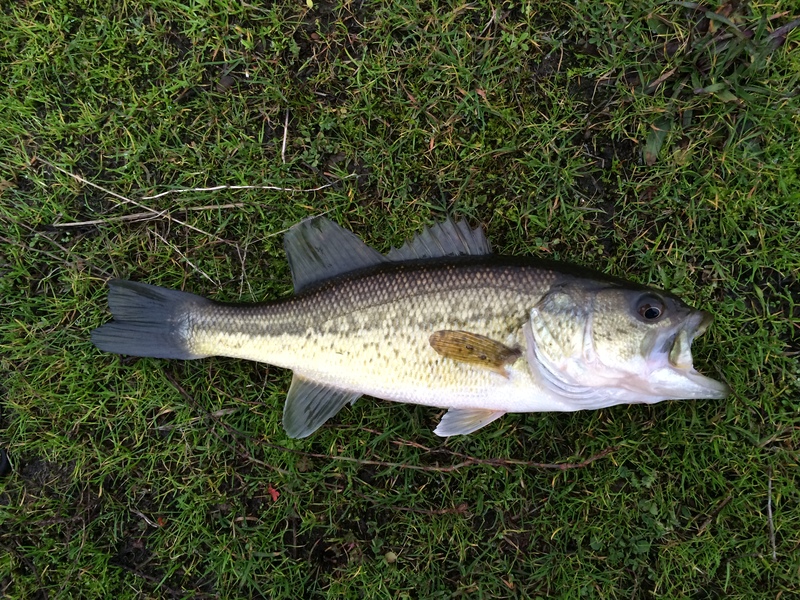 Read the next entry in #SpeciesQuest here: Species #6 — Largemouth Bass.